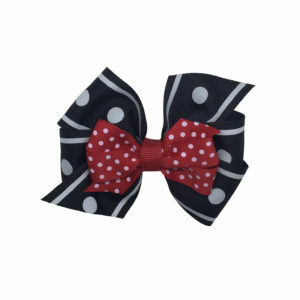 Large boutique bow with clip. 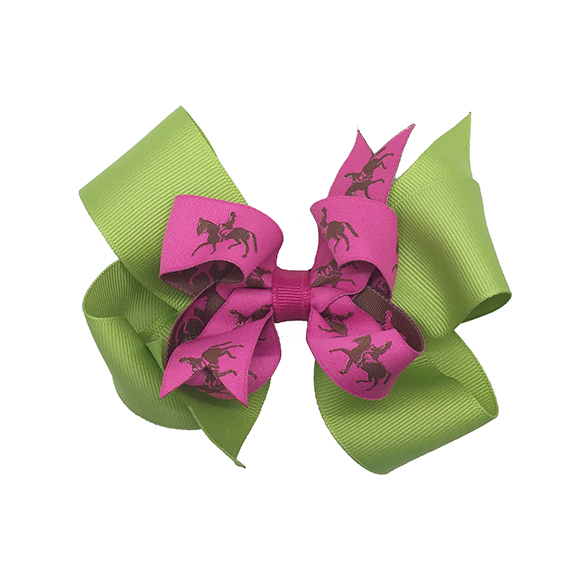 Large boutique bow with brown on pink horse pattern, layered over apple green ribbon. 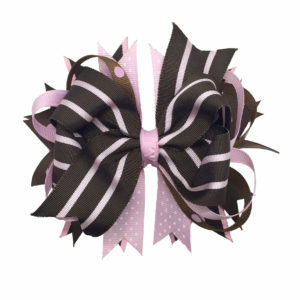 Hot pink ribbon center wrap. A large (3 inch) french clip is securely fixed to the back. 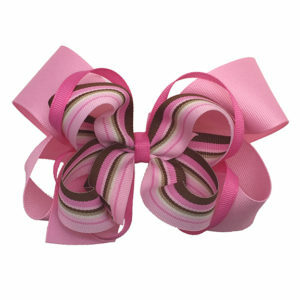 Bow is approximately 5 1/2 inches wide across the center. 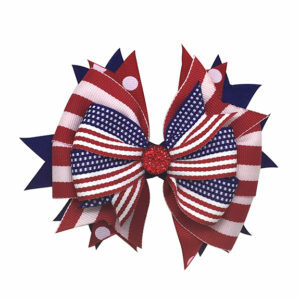 Sign up for our periodic newsletter, delivering new product info, site announcements and coupons directly to your inbox!